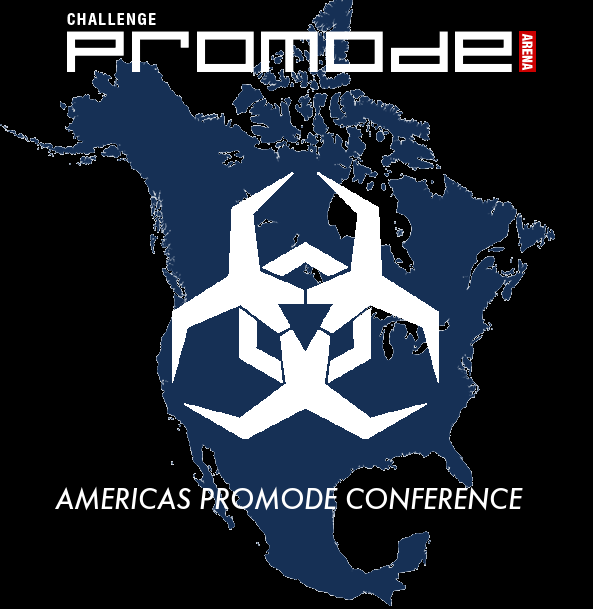 The Americas Promode Conference has finally concluded! Congratulations to all players! For a complete look at the final head on over to the TastySpleen VOD (Part 1, Part 2) which was casted by the incredible and magnanimous Jehar, featuring the guest caster, pan1c. Congrats vdmk for rising above the thirty-one other players who competed in this five week long tournament that began on Sunday, March 11 2018 and ended on Sunday, April 15 2018. I've included a short section about our Division 1 winner vdmk, and our Division 2 winner ATP. There was also an optional survey that players took who participated in this event. The results of this survey are reflected in the Players Survey Results and the analysis is quite interesting to those who may wish to run an event in the future. It's a question that has been plaguing the CPM community for the past four months. While many have heard of gellehsak (even outside of the Promode scene he has built a name for himself in arena shooters), and kwong in the Promode scene (you'd have to be clueless if you don't know who these guys are regardless of your region you are living in)... very few people have heard of vedmedik. Hailing from Quake Live and more recently, Quake Champions (though he has stopped competing at it at this point), he has built a reputation for taking down some of the toughest opponents and working his way to the top of Quake Live. We also saw him perform feats of incredible skills at a Quake Champions LAN in Dallas, Texas where he was a round short of five from knocking Avek out of the tournament. For those who want more information about vedmedik, xero had conducted a special interview found here. One thing is certain, this new CPM talent has more than proven that he can compete with the best of them and that while the rapha's and DaHanG's of the world went off to play Quake Champions, the skills that propelled vdmk to the top were not ill-gotten or overrated. Not by a long shot. In the short span of four months after installing CPM, vdmk has done what I would argue no one else could do in such a short time: defeated promode legends. And if you watched the finals: here's the scary part - he made it look easy. With a lightning gun that could even rival gaiia's and rails that rival HAL_9000's we saw a talent that we haven't seen the likes of before. So once again congrats to our new King of the Americas Promode vdmk and we hope to see you keep doing amazing things. And the story of a 150 ping HPB called ATP. If you've ever played a game with 150 ms ping and been a high ping player, then you would know that rockets cannot connect with anything. You lead them, you trail them, they lag, and they lag. With a choppy ping even the railgun and lightning gun cease to function under the weight of an unstable and choppy ping. Enter ATP, our resident South American player from Argentina. We are certain more than a few people had counted him out because of his 150 ms ping. Maybe it was the fact that Cixxywuffie purchased a server in Miami that could finally give some relief to ATP allowing him to play with a ping below 200 ms. Maybe ATP just knew what to do to make rockets connect even with 150 ms ping. He managed to even get four overtimes in the final on cpm22 making the map 18 minutes long! But the biggest feat done by our Latin American Promoder was to play cpm24 so cautiously in 10 minutes and so carefully that the frag counter never went above 10 frags ending with a score of [7:6] in ATP's favor. Anyone who has played cpm24 can tell you there is a limit to how many times you can play defensively. This is a map where +back is unpleasant to play and against some opponents just impossible and a map where a well executed trap is inescapable. ATP we congratulate you on the Division II win with more than four times the ping of your opponents. Out of the 25 players in play-offs (excluding myself as admin of course), 19 of them responded to a survey I had posted asking about how they felt about certain aspects of this league. The most important result that was attained is that the majority of people want another tournament like this one within the next six months. Some people want one even sooner than that. No one really had too many issues or was bothered by the seeding but many people said they wished the tournament was shorter, while other people, said they wanted a double-elimination format (an upper bracket and a lower bracket). Had we implemented a lower bracket the tournament would have been even longer, so I think as it stands there are two factions of people who are split between wanting to shorten this league while some people wanted the competitive nature of a lower bracket which would have actually extended it. Here are the full results from 76% of players who played the five weeks and responded to the optional survey. Would you play in a future tourney again? If so when should the next one be? What's something that can be improved, if a future event was to be organized in a similar style? 16% Shorten the tournament (3x respondents said: maybe a bit shorter, if it could be shorter it would be cool, probably the time schedule was too long but everything was very nice). Do you think you were treated with courtesy and respect by admins and players? Did you think brackets were fairly seeded? How long should Group Stages be? What was the most difficult/annoying part about Group Stages? Jehar and the TastySpleen.tv team (as well as pan1c) for casting the last day of the tournament. Jehar man, you took the 7 hours of your Sunday to not only cast this tournament but to cast it with a passion we haven't seen before in the Promode community in a very long time. Even if we could have picked anyone in the whole world to do this job on the condition they accept, there's no way anyone could have done a better job than you casting this event. And a special thanks to pan1c for joining as a co-caster and for adding a voice right at the tail-end of the night when we need to hear a fresh voice and a fresh opinion during that pivotal moment. notorious for uploading 172 demos (yeah guys, you read that right! ONE HUNDRED AND SEVENTY TWO) to YouTube of the group stages, playoffs, and finals. I can't really thank you enough for your patience, kindness, and friendship. I owe a lot of thanks personally to you. Lunokhod-2 for inspiring me with your Russian Promode Championship 2018 (a CPM duel league for Russians only) to create an Americas only league. xero for proposing in February to go-ahead and make this into a reality. This would not have started if not for you. Thank you for too many things really to list in one place, I would not be exaggerating to say that this would be a colossal failure if not for you. cuppajoeman for making the awesome promotional event poster/header image that is being used for the event I think he did a pretty awesome job. send for working on a promotional movie with me ~2 hours and gathering the required demos for the promotional CPM movie. Unfortunately, the movie maker was unable to deliver but I enjoyed working with you on it and I really appreciate your time. freddiaN for streaming the randomization of group stages and dividing our 32 players into 8 groups, I think they for the most part came out quite splendidly. DEZ for telling me to make a Division 2 playoff for the players who don't advance and for telling me to add a prize to this as well. ArcticRevrus, Chains, Cixxywuffie, KittenIgnition, kumo, venim, and vixterra for adding the maps in the map pool to their servers. christian, d3th, Leshaka and xero for streaming some of the group stage and playoff matches. And to anyone else who streamed league matches without my knowledge :-) thank you. myT for restoring the active development of Challenge Promode Arena. Thank you to our spectators who watched the finals being streamed on Tastyspleen.tv, I hope that old players enjoyed watching the new talent and new players who were asking on the stream, "What is this game? How do I download it?" will come to see the light and fight with us on CPM servers. Most important of all, everyone who participated in and played their matches, as long as we have players and they coalesce on CPM servers - CPM will never die. Q. How many people play this game? Is it ded? Ded gaem? I only play games with "x" amount of players. Depends on the region. If you sum all of the American players, European players (including Russia), you would probably have more than 30 people who actively play within a month. There are probably closer to 50-80 people who add on a once every three-months basis. Russians at one point had more than two dozens or so of people who were actively adding to their pickups within the last year or two but activity has slowed. It sorta goes up and down depending on the season, sometimes oldschoolers just pop out of the wood works. If you ever need a duel in every region (Europe, North America, Oceania) we have beginners, mid-skill-low, mid-skill-high, and high skill players. Duels happen on a daily basis. There's usually a daily team game in Europe/Russia though it's not guaranteed all the time. American activity fluctuates wildly, you can get four days of team games in a row (4 versus 4 capture the flag, 20 minutes to a game, roughly 2-4 games in a day) and then a bit of a pause for seven days without any activity. CPMA games are not really played by hopping into a server. If you see a bunch of empty servers it's because people look for games on Discord and agree to play beforehand and when they finish they leave the server. From my experience, if you are American/European and you want to play CPM you are guaranteed to find someone to play every single day of the year. There is always someone around who wants to duel if you are patient enough. If you are looking for games at 3:00 when everyone is asleep, or at 13:00 when everyone is at work, you probably won't find anyone but if you choose your hours sensibly you can play CPM every single day same as you breathing oxygen every single day. East European (Russian primarily) HQ. I don't have Quake III Arena. I'm not able to buy it. I don't know how to install a mod. Woah, slow down there tiger. Come by Discord, we have an idiot-proof package that will resolve all your questions and needs and you will be able to not only play but to have a perfect installation without any Malware/bugs and any issues.